Kevin said he would pay $20 for a small plate of these hash browns. He didn’t appreciate that very much. But in all fairness, all signs pointed to my response being the best (logical) response to Kevin’s statement. Don’t you think? 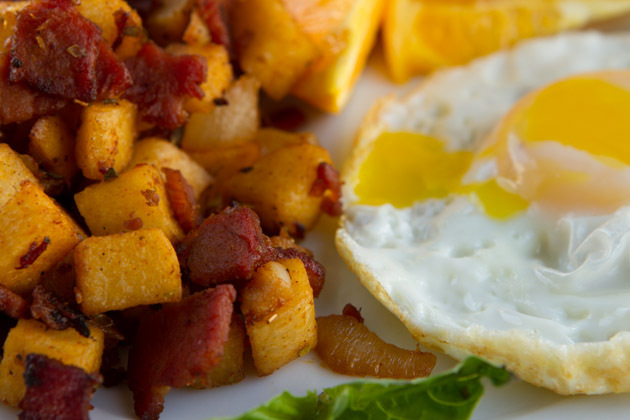 But really – I would pay $20 for these hash browns too… if I didn’t know how to make them myself. Luckily for you and me? I know how to make them and I’m sharing the recipe with you right this very moment. 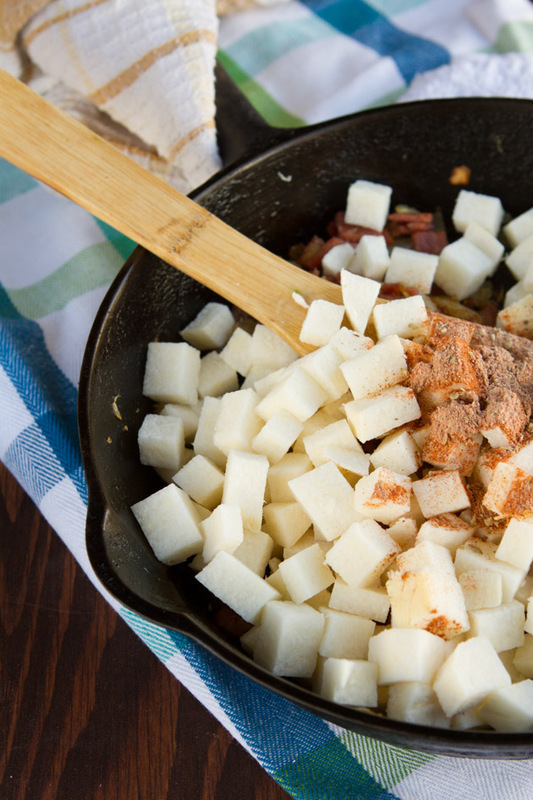 Healthy paleo hash browns made with a starchy, potato-free base of jicama! Add coconut oil and diced onions to a large frying pan. Cook on medium-high heat for 5 minutes. Rotate frequently. Add bacon and garlic, and cook for 3 minutes. Continuing to rotate. 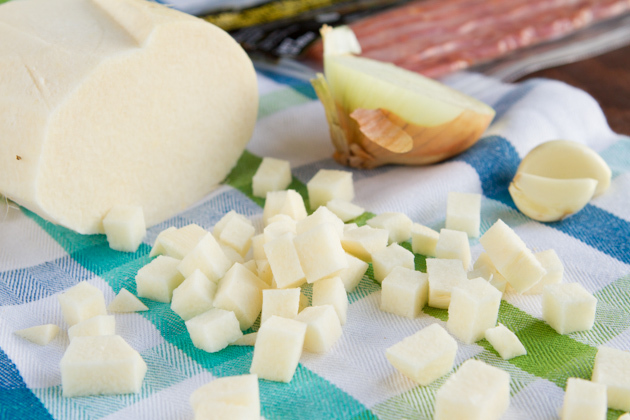 Drop in cubed jicama and seasoning. Cook for a total of 10 minutes, adding 1 tablespoon of water every couple of minutes and rotating to avoid burning. 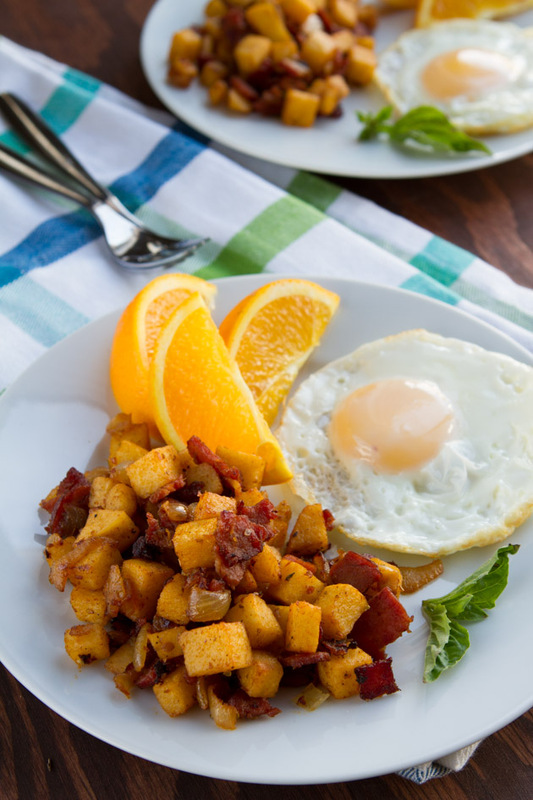 Serve with eggs, sunny side up, and a couple slices of fresh oranges. To make vegan: make the hash browns without the bacon, maybe add a couple of drops of liquid smoke and serve them alongside some sauteed broccoli or asparagus with a bit of shaved almonds over top. I found this turkey bacon at our local health food store. It looked intriguing so I gave it a shot. It worked really well, over all. 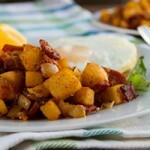 If you use regular pork bacon, I would omit the coconut oil from this recipe. No need when you have all the delicious bacon grease to cook everything in! Meanwhile, you can cut up your jicama! Jicama is such a beautiful thing. You MUST try it. The “secret sauce” to these hash browns is in the seasoning mix. This stuff is outrageously good and goes well on just about anything. 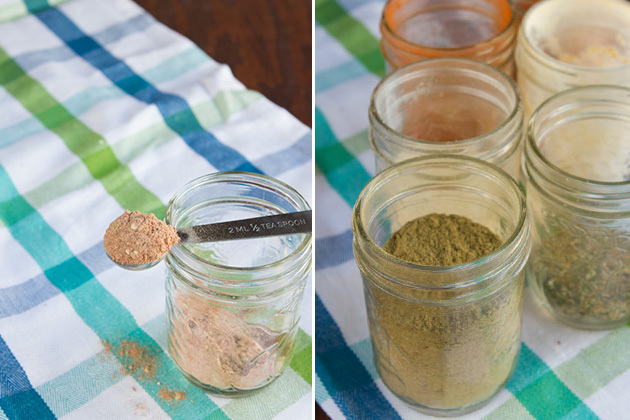 A delicious homemade seasoning mix. 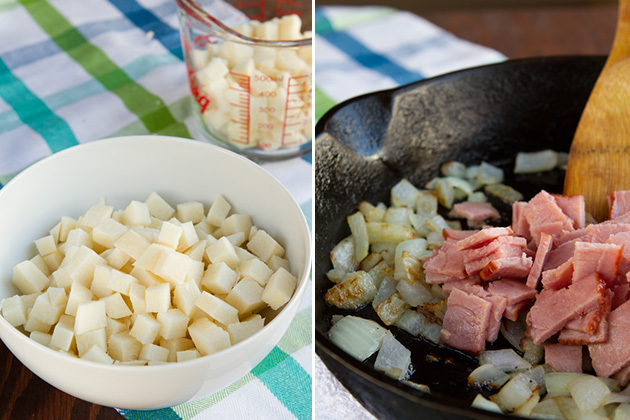 Perfect for a batch of hash browns, baked potatoes or roasted veggies. Add all ingredients to a small mason jar. Cover, shake to mix, and store for up to 1 year. To make nightshade free: omit paprika and cayenne completely from this recipe... it's still really great without it! 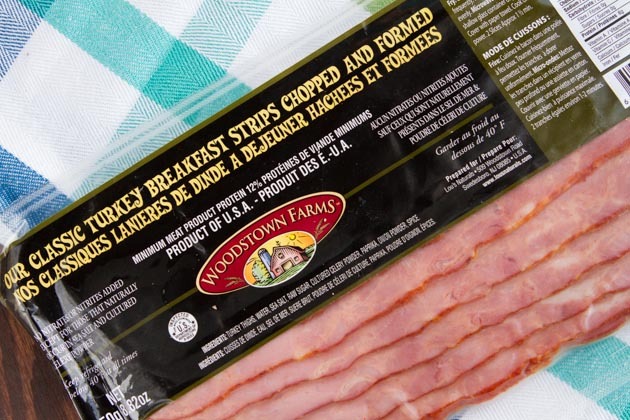 And, if bacon and eggs just ‘aint your thing, no worries. 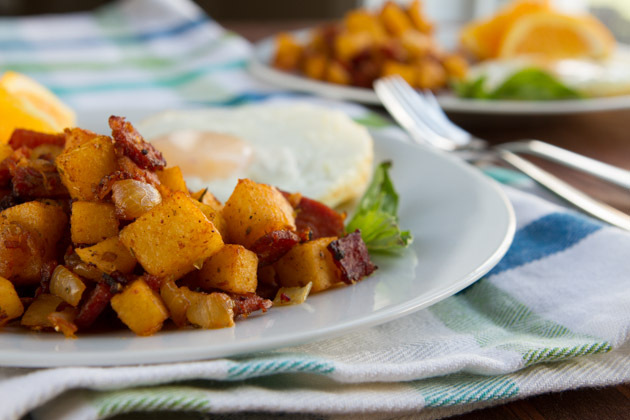 You could make these hash browns without the bacon, maybe add a couple of drops of liquid smoke and serve them alongside some sauteed broccoli or asparagus with a bit of shaved almonds over top. Either way sounds mighty fine to me!